Pegmatites are the usual source for minerals associated with lithium: spodumene, lepidolite, and petalite are common. Lithium can also be extracted from brines in evaporite beds. And, finally lithium can also be found in commercially viable amounts in sedimentary rocks that contain the mineral hectorite. Lithium is used primarily for industrial applications in lithium-ion batteries, additives for iron, steel and aluminum production, lithium greases and heat-resistant ceramics. 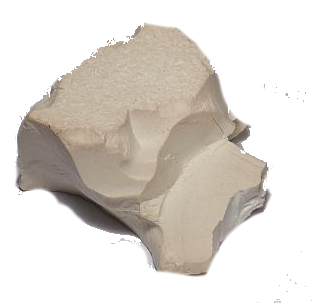 Hectorite is a slippery white clay, a smectite clay and an end-member of the montmorillonite group. It contains magnesium and lithium but only a very small amount of aluminum. First found in Hector, California, hectorite may contain up to 1 – 1.2% lithium. Hectorite shows distinctive absorption features at 1400nm and 1900nm similar to other smectite clays including montmorillonite, and more distinctive features at 2300 and 2380nm. Other less distinct absorption features are sometimes found near 960nm and 1100nm. 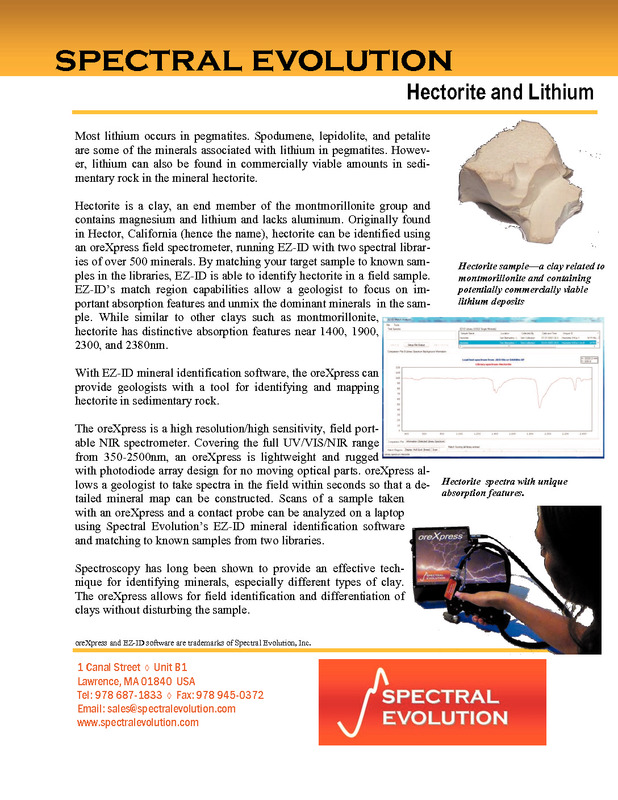 Field identification and mineral mapping for hectorite exploration can be done using the oreXpress high resolution/high sensitivity NIR field spectrometer. The oreXpress covers the UV/VIS/NIR spectral range from 350-2500nm. It is portable and lightweight with an all solid state photodiode array design with no movable optical parts for reliable rugged field use. Take spectral measurements in the field with a contact probe for fast and accurate mineral mapping. Two lithium-ion batteries provide portable scanning power for the unit and the contact probe with its built-in light source. There are two contact probe options: our standard 10 mm mineral contact probe and the 3mm Miniprobe for focusing on smaller sample features. Optional EZ-ID mineral identification software matches to known samples from three libraries of more than 1100 minerals. Geologists can use EZ-ID’s match regions and score tables to unmix minerals within samples for better identification of dominant minerals. Hectorite is a clay closely related to montmorillonite. 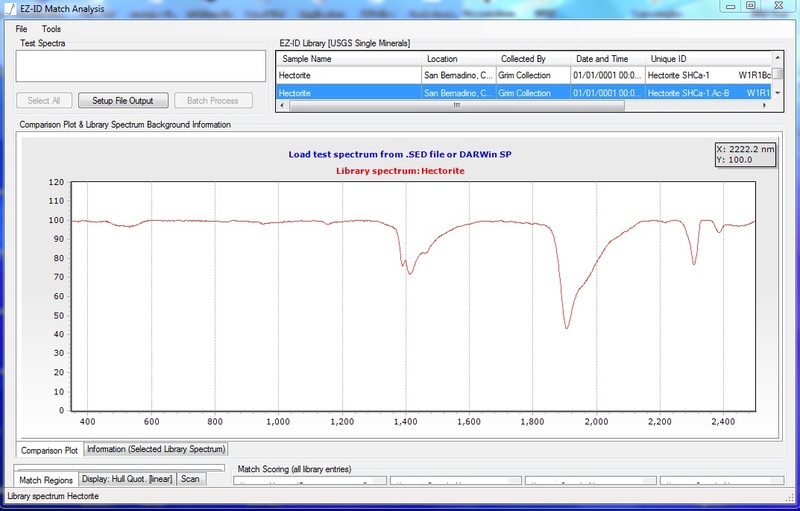 EZ-ID mineral identification software matches your samples against three libraries of more than 1100 minerals. Here you see a library sample of hectorite.